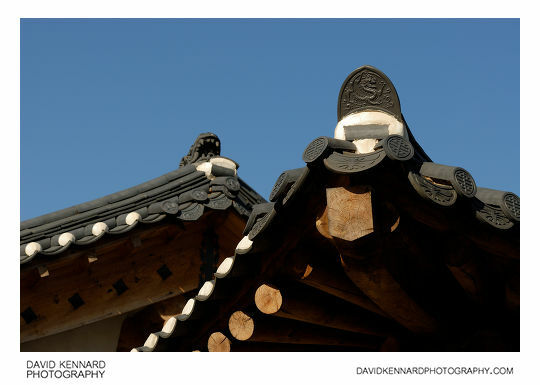 Hyangwonjeong (Hangul: 향원정; Hanja: 香遠亭), or Hyangwonjeong Pavilion, is a small, two-story hexagonal pavilion built around 1873 by the order of King Gojong when Geoncheonggung residence was built to the north of the Hyangwonjeong site within Gyeongbokgung. 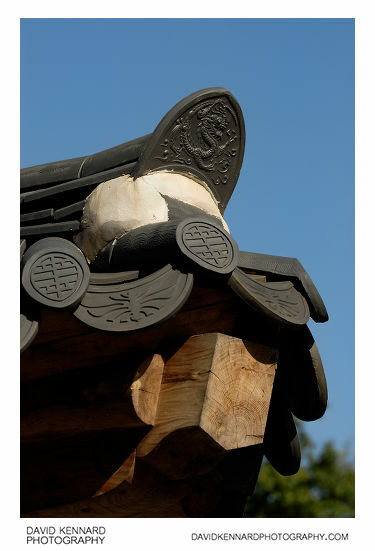 The pavilion was constructed on an artificial island of a lake named Hyangwonji (Hangul: 향원지; Hanja: 香遠池), and a bridge named Chwihyanggyo (Hangul: 취향교; Hanja: 醉香橋) connects it to the palace grounds. The name Hyangwonjeong loosely translates as "Pavilion of Far-Reaching Fragrance," while Chwihyanggyo translates as "Bridge Intoxicated with Fragrance. The bridge Chwihyanggyo was originally located on the north side of the island and was the longest bridge constructed purely of wood during the Joseon Dynasty; however, it was destroyed during the Korean War. The bridge was reconstructed in its present form on the south side of the island in 1953. 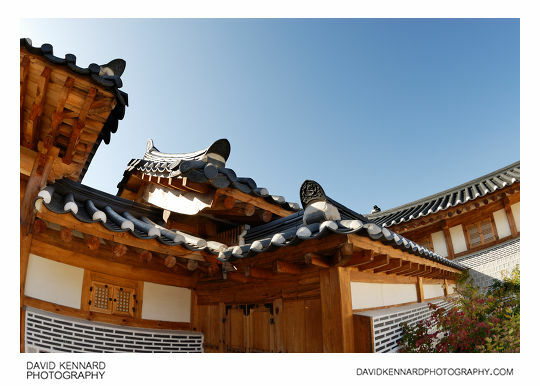 Geoncheonggung (Hangul: 건청궁; Hanja: 乾淸宮), also known as Geoncheonggung Residence, was a private royal residence built by King Gojong within the palace grounds of Gyeongbokgung in 1873. 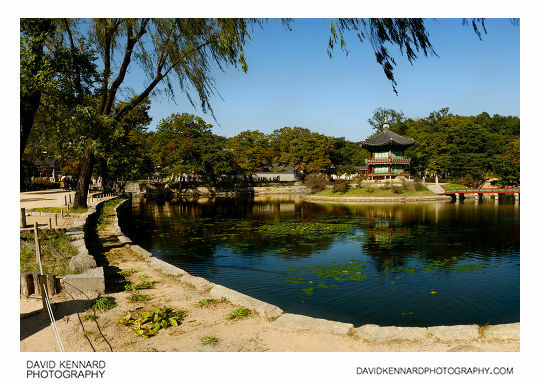 King Gojong resided in Geoncheonggung from 1888 and the residence was continuously expanded, but Empress Myeongseong, the wife of King Gojong, was brutally assassinated by the Japanese agents on October 8, 1895 at the residence. Her body was raped and cut, and was burned and buried near the residence. Haunted by the experiences of the incident, the king left the palace on January, 1896, and never returned to Geoncheonggung Residence. 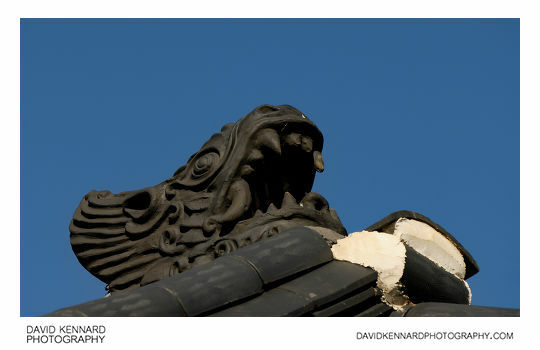 Demolished completely by the Japanese government in 1909, the residence was accurately reconstructed to its former design and open to the public in 2007. This next photo shows a corridor connecting Jangandang (장안당) on the left to Gonnyeonghap (곤녕합) on the right. 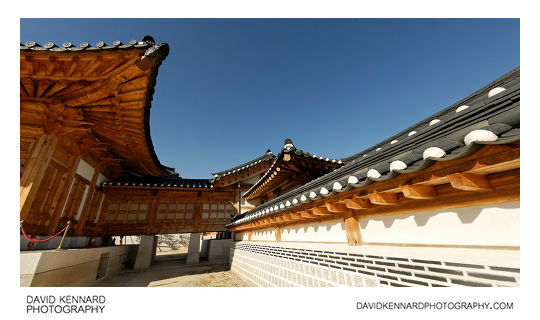 As you can see, the buildings in Geoncheonggung are quite different to the others in Gyeongbokgung, with the wood being left unpainted. 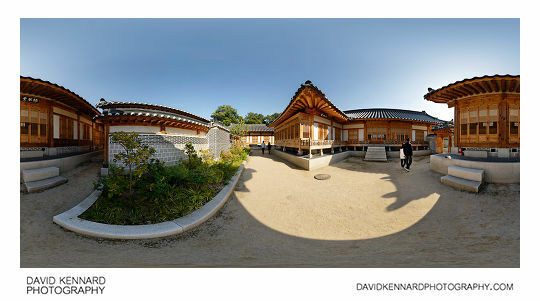 I took a panorama in Geoncheonggung as well, in this image you can see the building called Jeongsihap (Hangeul: 정시합; Hanja: 正始閤) to the right of the centre of the image, and Nokgeumdang (Hangeul: 녹금당; Hanja: 綠琴堂) on the right and left edges of the image. I think Jeongsihap is part of Gonnyeonghap (Hangeul: 곤녕합; Hanja: 坤寧閤). 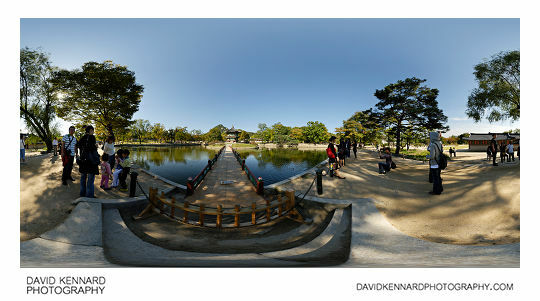 One of the problems I've had with writing descriptions for the photos of Gyeongbokgung is trying to work out what different buildings are. 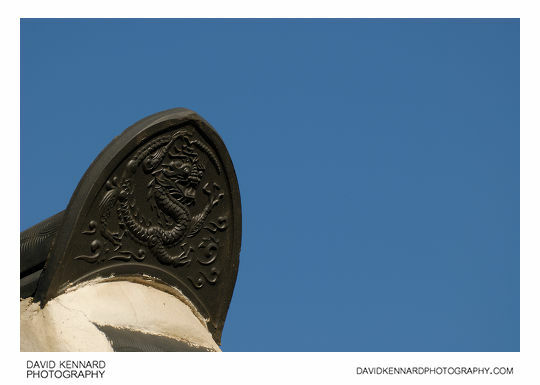 Even in cases like the image above, where the buildings have names written on tablets above doors, I find it very hard to decipher the brush strokes making up the chinese characters of their names. Often when I found out what is written on the name plate in Hanja (the chinese script system used in Korea before Hangeul was made the main writing system, and still used for names), the characters would be quite different in the number of strokes and where the strokes are placed/join from what the calligraphy on the name plate looked like. This is a problem because you need to know the number of strokes and place them relatively correctly to be able to write them on the computer and have the computer recognise it as the correct character. For example, if you look at this name plate for Nokgeumdang (from this Korean blog), and compare it to the typed Hanja for Nokgemdang, which is 綠琴堂. The first thing you notice is that the characters are in the opposite order in name plate compared to the printed name. Next, looking at the first character in the printed name, last character in the name plate, 綠, only the bottom right corner of the two are the same. Moving on to the middle character 琴, the top of both the printed character and the character on the name plate are the same, but the bottom bit is different enough to cause problems when trying to write the character from the name plate on a computer. The first character on the name plate / last character in the printed name is easy enough to read/write though (which is how I managed to find the Korean blog that gives the full name in Hanja and Hangeul). Switch my GPS on, sync my camera's time with it, and make sure I check it regularly in case the battery runs out. Buy a guidebook or at least make sure I have a decent leaflet about wherever I'm photographing.